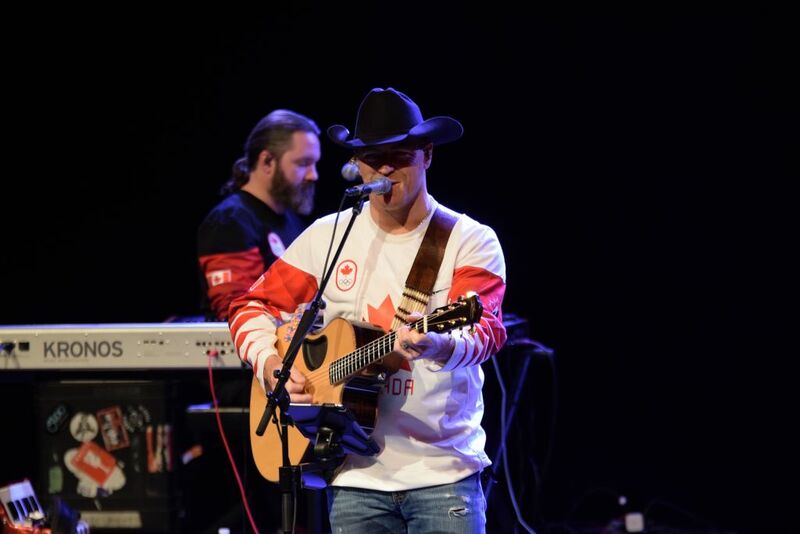 George Canyon brought his Canadian pride to the ACT Dec. 3. George Canyon brought his Canadian charm, hockey jersey, and authentic country music to a small intimate crowd of about 150 at the Algonquin Commons Theatre Dec. 3. Canyon’s Made in Canada tour made its second to last stop in the nation’s capital on Monday night, which is fitting for a man who was born and raised in Nova Scotia and now resides in Alberta. When asked in an e-mail exchange Nov. 19 why he chose to stay in Canada rather than make the leap to the U.S like many other country stars have done, the answer was simple. “Canada is the greatest country in the world and I’m so proud to reside and make a living in Canada,” he said. The atmosphere really reflected that of a small intimate gathering with friends and family. Canadian facts were spewed right, left and center and he got the audience going by referring to Canada as the greatest hockey nation and singing The Good Old Hockey Game. Canyon, who has been in the country scene for 28 years, played a good mixture of songs from the start of his career to his newer album Southside of Heaven. One special song off the new album was co-written with Eric Church and is dedicated to the fathers who lost their sons in the Humbolt Broncos bus crash and has a significant green ribbon next to it on the back of the album. “Great stories and family values,” is what Canyon had to say about why today’s generation is still into country music. That shone through as the audience was made up of college age all the way to the older generation. Canyon invited Ottawa native singer-songwriter Jordan McIntosh up on stage with him. McIntosh has known Canyon for close to five years and in an interview after the show he recapped what it was like performing on stage with him. Canyon made an appearance after the show, greeting fans and taking pictures, which speaks true to being humble and being Canadian. 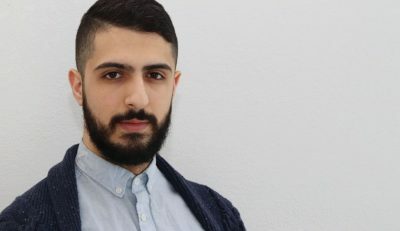 “I thought the show was great, I’ve loved his music for a long time and I listened to it on the way here and I’ll listen to it on the way back,” Kyle Mazuri told the Times after the show. “It was the most Canadian thing I’ve seen,” said an Algonquin security guard who identified himself as Shawn. “It was great he did some covers, he did some Trailer Park Boys songs. The Made in Canada tour wraps up on Dec.4 in Sherbrooke, Quebec, before Canyon takes a much-needed break to be with his family. Canyon brings echoes of Canada to ACT Reviewed by Karine Beaulieu on December 4, 2018 .